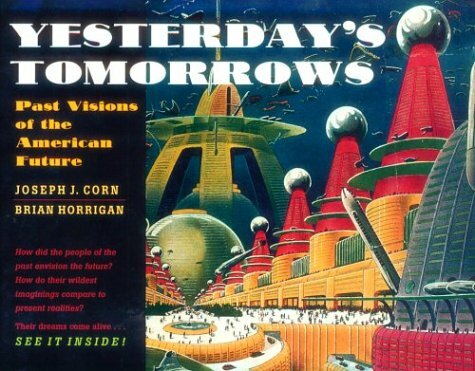 10 Zen Monkeys has a great article about the paleo-futuristic promise of Virtual Reality. As the article points out, we may have things like Second Life, which is mentally gripping but is far less physically immersive than what was projected. I remember looking at Nintendo's Virtual Boy in the mid-90s and thinking, "Finally! It's just a matter of time before virtual reality takes over the gaming market." Jaron Lanier, the developer that was interviewed for the 10 Zen Monkeys article has a Top Eleven Reasons VR Has Not Yet Become Commonplace. It's worth a look. I find number 7 the most intriguing in a lot of ways. "Because human acuity is so good that you can't get away with so-so specs as you can when the interface is less intimate, as with existing mass produced devices." I can't decide if the Wii proves number 7 or shows that technologies that are becoming more immersive are more attractive for their playability than their graphics. 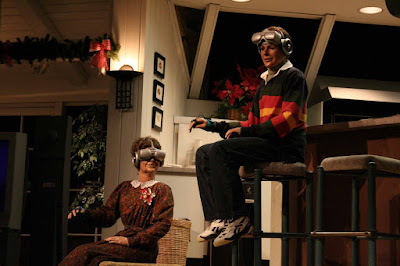 The image above is from the Walt Disney World attraction Carousel of Progress which was updated in the late 1990s to include a futuristic family playing a virtual reality game.